The device is designed for on-line diagnostics of high-voltage porcelain 110 kV post rod insulators. 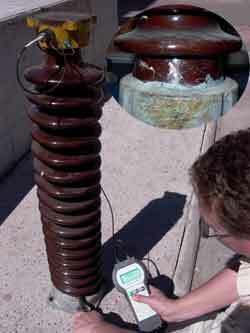 It allows to test all types of porcelain insulators. The device is controlled by one button, placed on the handle of the striker. 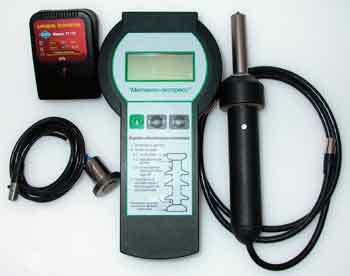 The device is easy in operation and does not require special knowledge for test operation. Nonvolatile memory and logical interface with a personal computer enables one to receive a test report immediately after testing. The device is manufactured in accordance with Technical Requirements 4252-002-27172678-2003, certified in Certification System of power industry "EnCERTICO" (registration No. СП0034300704).